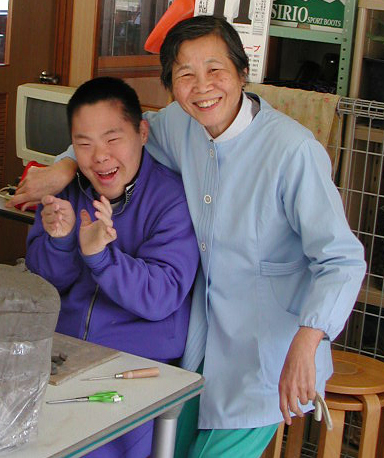 At the request of the local Church, the Congregation opened a centre for children with severe intellectual disabilities in Tottori, Japan in 1970. It served as an example for an innovative approach to helping these children, based on our experience in Belgium and with a special focus on the sensorial education method developed by Bro. Ebergiste de Deyne. Today, the centre also welcomes adults. A small, international community of brothers is there as a presence of prayer, allowing the charism of charity to shine.